The Ultimate Guide to Choosing Your First Surfboard! What Should You Know Before Purchase? Whether you are an amateur or experienced surfer, you will always remember buying your very first surfboard. It is both an exhilarating and terrifying experience. At first, the decision may not come easily, and you may be confused for days! However, with a little bit of research and studying, you will know what you should look for. The rule of thumb says that a surfboard should be robust, durable, and affordable. Countless other factors may determine or influence your purchase decision. Let’s discuss some of those. What do most surfers want? What are the different types of surfboards that you can consider? It is a perfect option for teens and kids. Also, if you are an agile surfer who wants to try some basic surfing tricks on the waves, a shortboard will be ideal. However, it is recommended that you gain some experience before attempting complex moves. If you are starting out, longboards would be the best choice. It is also a perfect option for the not so agile surfers who are on the heavier side. These boards are enduring and are the best for old surfers making a comeback to their surfing journey after a hiatus. Also, as a surfer, if you wish to ride higher waves, a longboard is your go-to option. These boards are stable, and they allow wave-catching. Count on fish surfboards for flotation, stability and ample wave movements! This board will help you catch waves and paddle smoothly. It comes with a short length and is thicker and wider than the standard surfboards. Pro surfers wanting to have some fun with the waves and boast their moves can opt for it. When choosing a surfboard, adults should consider their weight, experience, and size. Let no doubt propel you to make the wrong choice. Expert assistance is always available. Do not be shy to ask an experienced surfer at a surf shop to guide you personally. The surfing options have expanded recently with the advent of stand up paddle boards that provide another way of catching the waves. 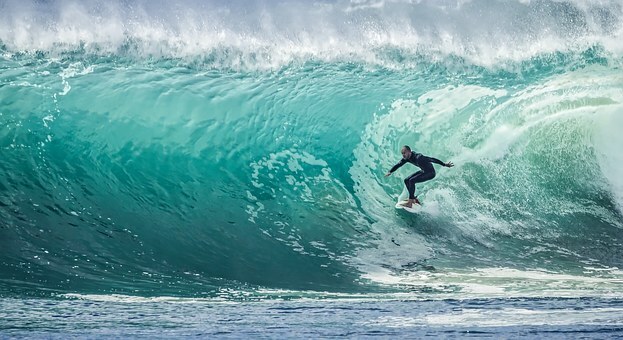 Some surfers prefer to catch waves from an already standing position with the assistance of a paddle, which can be a lot easier on the body than traditional surfing. You can browse online to read up on Hala SUP boards to get an idea and search accordingly. Now that you know the kinds of surfboards that are available, you need to determine your surfing level! Whether you are a complete novice or have taken lessons before or getting back to the waves after a long break, you need to assess your level and commitment to surfing. It will play a critical role in determining which surfboard will be right for you. Assess the waves that you intend to ride. Like most, you will probably like to start small at the 1′ to 4′ range. So, when going for the soft and slow waves, a fish board and longboard comes handy. A shortboard is useful when you want to take on a hollow and steep wave. It is crucial to know that there is no thrill in a 2′ slop of a surfboard. That is indeed very small! So, say yes to all the excitement and grab the apt surfboard based on the waves you wish to ride. Your first surfboard should not be too expensive. There are practical reasons for that. Your beginner’s lessons will inevitably scratch and ding the board. Rough use and amateur mistakes are going to be a part of starting lessons. So, instead of spending a steep $400 for a good-looking board, it is best to opt for a $100 surfboard that is basic, economical and sturdy. You must avoid boards that have delamination. As a beginner, you are going to use your board regularly and a tad bit roughly too. So, spend the least possible without compromise on the necessary quality. Why should you purchase a Mini Mal? This kind of surfboard has excellent volume. It is wider and thicker than most with a round nose. Wave catching becomes easier than ever. Standard and stable beginner surfing boards are usually between 7’2” to 7’6”. If it turns out to be too big, it will be hard for you to manage. If it is too small, it will be tough to catch waves. Hence, the width needs to be between 19 and 22 inches with 2 to 3 inches thickness. It will help you to balance better and choose your direction. The silver screen makes everything looks smooth and easy! A scene where an expert surfer manages the waves effortlessly is no child’s play. It is hard work. Proper training and smart surfboard selection are crucial. So, if you want to experience an excellent wave catching experience in surfing, get committed to your lessons. When you are selecting your first surfboard, keep these above-discussed points in mind.